The Clemson University Extension Service administers the South Carolina New and Beginning Farmer Program. 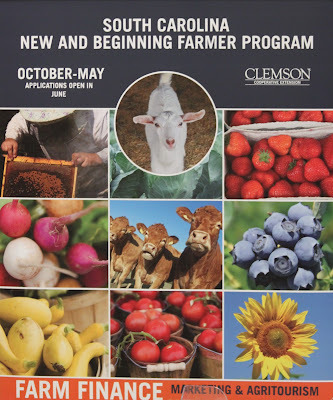 In August of 2016 Clemson University and their Department of Agribusiness received a grant of $595,000 from the U.S. Department of Agriculture to nurture the next generation of S.C. farmers. A part of their outreach program provides regional workshops, and the Colleton County Clemson Extension Office hosted a talk by Marion Barnes on pasture grass, hay production and developing wildlife plots.